We invite you to attend the 2015 North American Conference of the Association for Consumer Research, to be held at the Hilton New Orleans Riverside, from Thursday, October 1 through Sunday, October 4. The conference theme is Advancing Connections. It is inspired by a desire to build better connections across different research paradigms and approaches and to facilitate connections among academics, practitioners, and public policy makers, as well as to consumers. In recent years, many members of the ACR community have expressed the desire for more research endeavors that take a broader perspective and have the potential to make greater impact on theory and practice. We hope and believe that when we individually and collectively reach across research silos and make meaningful connections it promotes rigorous and relevant work that generates important insights about consumer behavior. We hope that encouraging broad participation is facilitated by this year’s conference location: New Orleans. New Orleans itself advances connections between a wide range of cuisines, musical styles (particularly as the birthplace of jazz), and historic celebrations–most importantly, of course, Mardi Gras. The Hilton Riverside has a prime downtown location and sits on the banks of the Mississippi River. It is steps from the streetcar lines and three blocks from the French Quarter. New Orleans is served by the Louis Armstrong New Orleans International Airport (MSY). 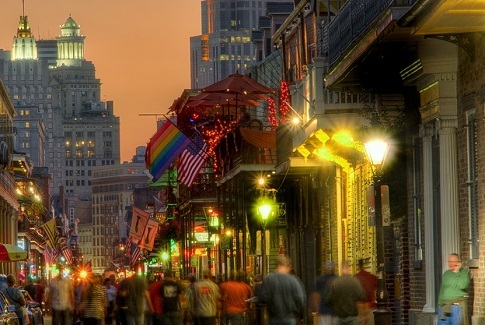 Save the date: ACR 2015, Oct 1-4, New Orleans was written on January 23, 2015 and filed in Conferences.